Tile mate is one of the best camping gifts you can give to a camper. 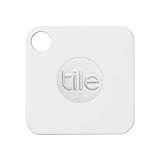 Tile-Mate is a best-selling Bluetooth tracker that loops easily to key chains or attaches to things you cannot afford to lose so that you can find them easily. Campers are likely to misplace or even lose various objects that are important to them, and this is why Tile mate would be an important device to have on a camping trip. This device would undoubtedly make a good camping gift. 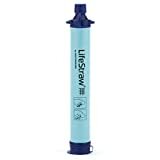 Another important item that can be of great value to a camper is the LifeStraw water filter. This award-winning water filter has been around since 2005 and used by millions. The LifeStraw water filter removes a minimum 99.9999% of all bacteria that is waterborne which surpasses the water filter standards set by EPA. It also removes 99.9% protozoan parasites that are waterborne and filters to an impressive 0.2 microns. It can filter about 1000 liters of water that is contaminated without chlorine, iodine, or any other chemicals. Campers have no access to clean drinking water, and for this reason, a water filter is an important part of camping gear. This makes the LifeStraw Personal water filter a great gift to the give a camper. One of the most important tools for a camper to have is a radio. Radios can be used to communicate between campers and also be valuable in case of emergencies. The BaoFeng UV-5R radio is a high/low power setting amateur radio that is programmable. The radio features customizable channel names, boot display among others using a PC03 FTDI Programming Cable. 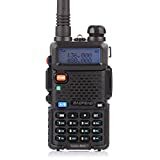 This dual band two-way radio has features that make it as one of the best camping gifts under 50$. Tents are an important part of camping. It would make no sense to go camping without a tent. In most cases, people go camping as a group, and it is rare to see someone going on a solo camping trip. The Sundome 4 person tent is an ideal gift that can be given to a regular camper. The tent is big enough to house up to 4 people. It is made of Polyester and manufactured in the US but can also be imported. 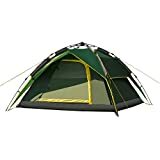 The sleeping tent features a center height of 59", 8.5 mm fiberglass poles, large windows and ground vent that move air up and out, spacious interior, storage pockets and more. The Garmin eTrex GPS navigator can be an important asset for any camper. 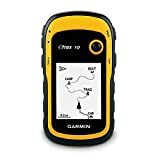 It features a worldwide preloaded base map with a monochrome 2.2-inch display. This gadget has a GPS receiver that is WAAS-enabled with GLONASS AND HotFix support for a reliable signal and fast positioning. This GPS navigator is waterproof and protects against rain, splashes, etc. It is AA batteries powered and can last for up to 20 hours. The device also supports Garmin spine mounting accessories as well as paperless geocaching. Every camper needs a backpack, and so this backpack would be a valued item if given to a camper. This backpack is great for adults and the youth and can be used for 2-4 day camping trips. It features a torso adjustment and is made to fit different body sizes, big sleeping bag compartment, multi-directional compression straps, multiple pockets and compartments to offer strategic packaging. The product comes with a Limited lifetime warranty. All campers need a backpack and it is not an option to have one. This backpack can make a good gift to anyone who is likes camping and they would always remember you by it. A goTenna is one item that every camper would be happy to have. This gadget ensures that when it matters most, you stay connected. This device enables you to send text as well as share your GPS locations using an Android or iOS device even if there is no Wi-Fi or cell coverage. The goTenna develops an off-grid network connection with other users around your area. You can send one on one messages, operate group chats or even broadcast to all nearby goTenna users. This is an industry leading mattress design that has 40 internal air coils. This ensures you have a firm and flat bet that is comfortable. 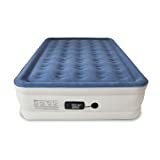 It features a one-click internal pump that inflates/deflates the mattress easily and fast. This air mattress takes only four minutes to reach the maximum inflation and firmness. 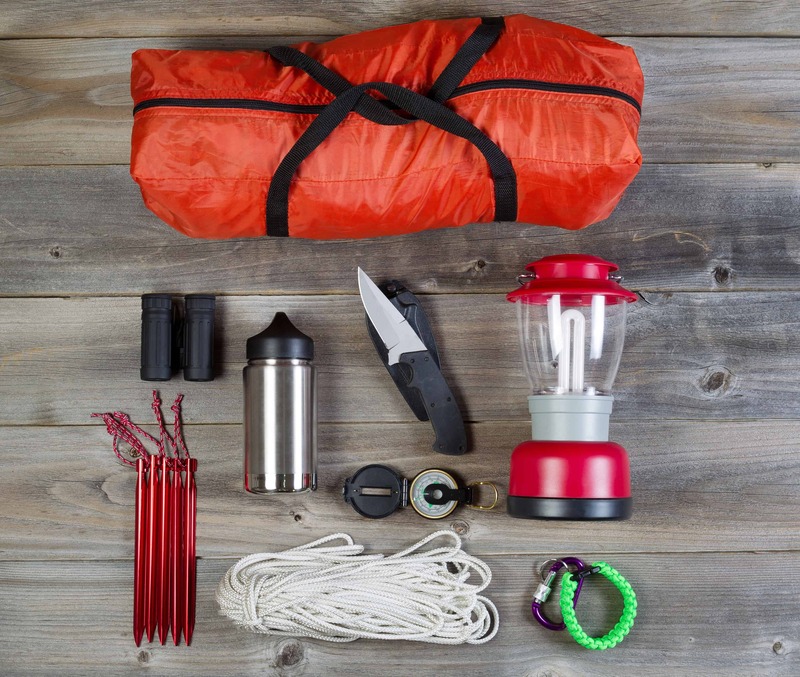 A camping knife is always top on the list of must-have for campers. 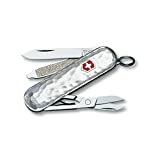 If you are thinking of giving a friend or relative a camping knife, then the Victorinox Swiss Army knife is one of the best choices.